WASHINGTON, DC -- On June 4, President Obama will meet Petro Poroshenko, president-elect of Ukraine. Three days later, Poroshenko will be inaugurated as Ukraine’s new president. And although officially, Poroshenko will be the fifth president of independent Ukraine, in many things he will be the first. Poroshenko will be the first president of Ukraine chosen through early elections after his predecessor was deposed. 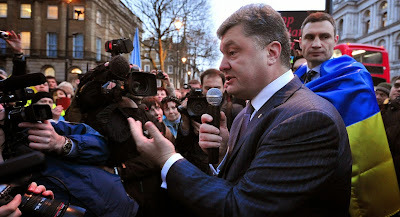 He will be the first president elected with the support of both East and West Ukraine. He will be the first to be fluent in English. He will also be the first to assume power when his country is at war. There should be no doubt that he is the right person, at the right time, in the right place, to confront the many challenges facing Ukraine. But integral to this success is newcomer Vitaly Klitschko, the retired boxer and mayor-elect of Kiev. Together, they must lead Ukraine out of crisis. I’ve known Poroshenko for almost 30 years, since we studied together at Kiev University. He started his business after a video salon in our dorm in the early days of Soviet leader Mikhail Gorbachev’s perestroika. These salons were a direct window for us to Western culture. Poroshenko saw immediately the potential to become a self-made man, and deployed his considerable management skills to build a billion-dollar business. Unlike with other Ukrainian oligarchs, this wealth did not exploit Ukraine’s natural resources or monopolies. After the 2003 Rose Revolution in Georgia, I went to Kiev to share my experiences with Ukraine’s then-opposition. 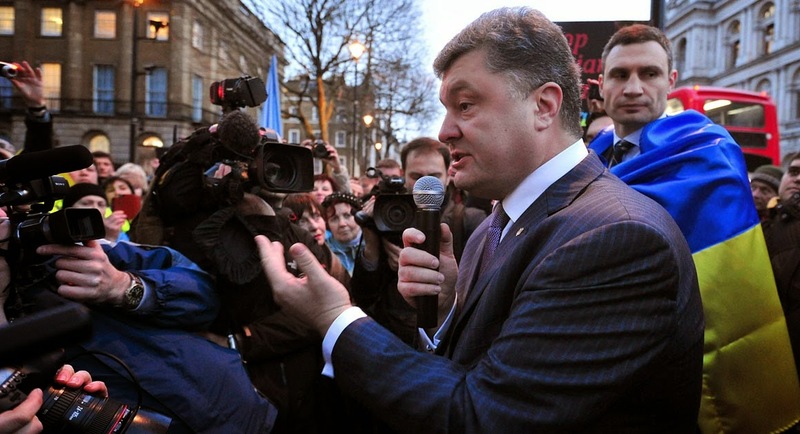 Poroshenko grasped immediately the need to prepare for elections that would inevitably be rigged. One year later, he became the engine behind Ukraine’s Orange Revolution, financing and organizing the entire protest infrastructure. When then President Leonid Kuchma took Poroshenko’s fifth channel, then the only independent TV station in the country, off the air, Poroshenko called me with a solution and we broadcast the channel via the Georgian Public Broadcaster’s satellite slot. More Ukrainians saw his channel than ever before. Poroshenko’s dedication to service was also displayed in the positions he held in the Orange Revolution government, including foreign minister. During the protests that began last fall, Poroshenko again took a backstage role, but he toured Western capitals to mobilize international support for a new Ukrainian revolution. His courage, adaptability and diplomatic skill were essential to guiding the Maidan, as the protest movement became known, through critical situations quickly. Before the election that brought him to power, he was careful not to alienate voters from the eastern part of the country with radical rhetoric. As president-elect, his first foreign visit was to Poland — a highly symbolic move. He then invited a prominent Georgian economic reformer, Kakha Bendukidze, to serve as an adviser — a direct reference to the fact that Ukraine has lost decade and faces similar economic challenges now as Georgia did in 2004. These moves draw Ukraine back to a success path for European integration.